sadie + stella: Monday Musings: Can We Canopy? Love muffins! Happy Monday. Did you all have a lovely weekend? I spent the majority of mine relaxing and catching up on work after my murderous exam on Saturday morning. Enough about me, let's talk about what I am musing. So self centered aren't I? 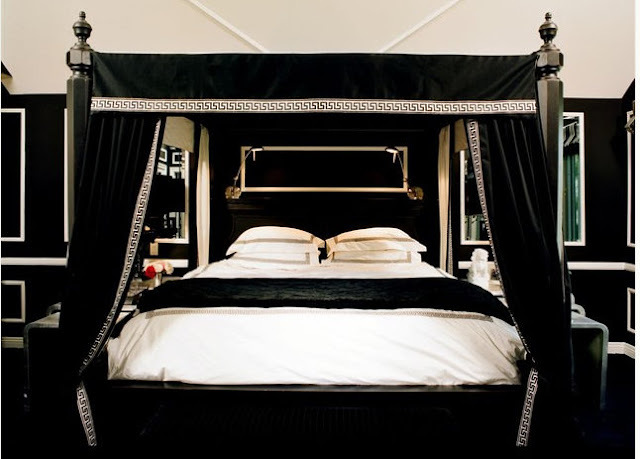 I have a client who has a fabulous master bedroom. Fabulous. Just needs a few tweaks and some finishing touches. She does however have a tricky space behind her bed which hinders a headboard or the like. I put my design thinking/problem solving cap on and got to work. What will draw the eye up and be dramatic enough to steal the show in the space? Hmmm. A canopy, that is what. I have to be honest, I used to hate the canopy look. Hate. Just a major dust collector and looked majorly gaudy to me. I must admit, I have had a major change of heart. Just look at all of these fabulous spaces that have been touched by the canopy. I do love the canopy....but yes the dust has always been a problem for me....but I still would take it would for the drama and elegance. 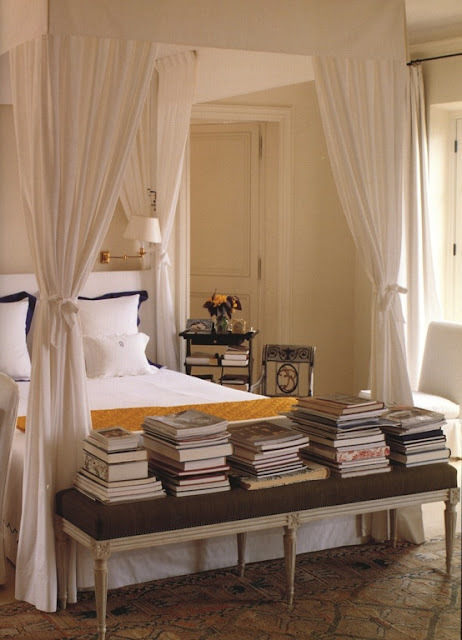 I had an antique canopy bed growing up and loved it. So cozy sleeping in there and it didn't really get any dustier than curtains. Just a bit of vacuuming. I think they're gorgeous, but have never had one myself! Absolutely adore the color palette in that last photo. I want a canopy now!!! So pretty. 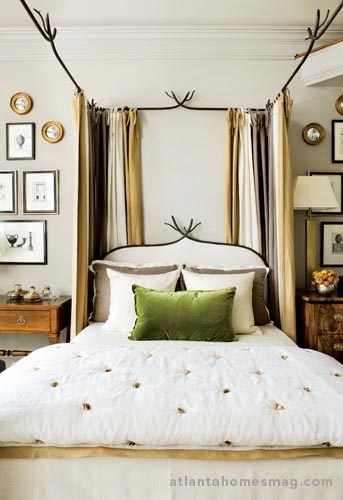 I am SO loving the "faux" canopy - curtain rods on the ceiling. 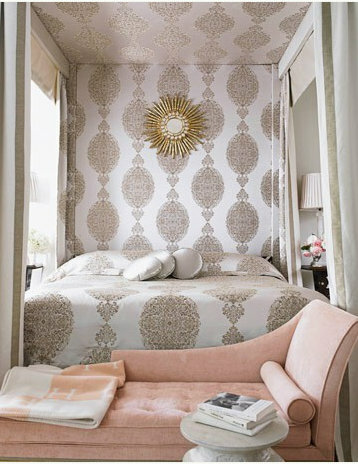 I posted a beautiful bedroom with one on Friday on my blog - swoooon! I don't think my bedroom is big enough to do this in - total bummer! 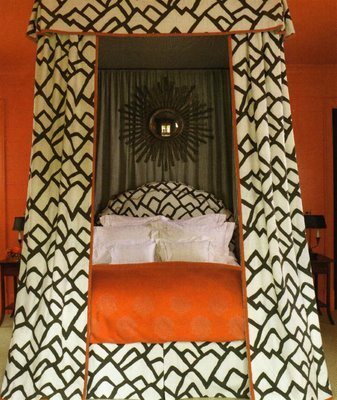 I used to be a major canopy hater, I thought they were only for little girls with those ugly flimsy wrought iron beds. Then I saw the blue bedroom Mary McDonald did and totally changed my mind! Loving the pic above with the all black, gorge!! 1- نقل اي نوع و اي مجموعة من أحجام العفش المتغايرة. 2- القيام بعرض العديد من الإعانات و المميزات على الزبون. 3- احتمالية القيام بعملية نقل الأثاث في اي وقت محتمل. 4- الحرص على عدم تضييع أي وقت إطلاقا على الزبون. 5- فك وتركيب العفش و هي خدمة إضافية يتم تقديمها إلى الزبون. 6- يتم إتاحة فرص متميزة يتم عرضها على الزبون للتمكن من نقل الاثاث على نحو سريع بشكل كبير. 7- نوفر أفضل سبل النقل المستخدمة في نقل الأثاث و التي يحرص الزبون على استعمالها. 8- الحرص على سكون الزبون بأفضل الوسائل والأساليب الممكنة. 9- نقوم بتقديم كل الوسائل المعاونة التي تكون هامة بشكل ملحوظ للزبون. 10- نقدم مميزات و عروض تنافسية على نحو متميز الي الزبون.